The future of Islam lies in Asia. Is there hope for peace and justice between Islam and the West? 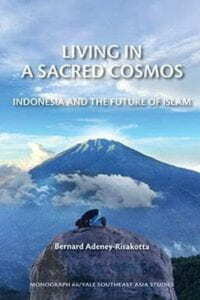 An answer may lie in the ancient, unique civilization of Indonesia, where modern, religious people still live in a sacred cosmos. Indonesia is experiencing an Islamic renaissance: a flowering of religious ideas, art, literature, architecture, institutions, and intellectual creativity, stimulated by civil freedoms, democracy, education, and prosperity. This community is more religiously diverse than it has ever been, even though it is threatened by growing Islamic radicalism. What do Muslims think about democracy, scientific rationality, and equal human rights for all, especially for women and non-Muslims? How do Muslims respond to the global environmental crisis? This book addresses these questions through the lens of empirical research on the views of people in Indonesia, the largest Muslim country in the world. Read more here! 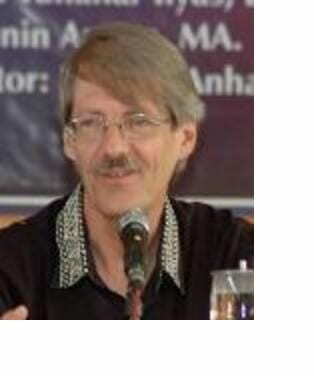 About the Speaker: Bernard Adeney-Risakotta was born in China of British and American parents. He was founding director of the Indonesian Consortium for Religious Studies (ICRS) at Universitas Gadjah Mada in Yogyakarta. He studied in Wisconsin, London, and Berkeley, where he taught for nine years before moving to Indonesia in 1991. Among his many publications is Strange Virtues: Ethics in a Multicultural World.